Our experience with finding a good steak here in David. PriceSmart had some, we tried them, sorry Charlie, we needed something a little more…,uh, tender, these were SERIOUSLY tough. Then some of our new friends at the tennis club told us of a place that had good steaks at good prices. We tried in vain to find the place, couldn’t, and gave up and drove home. 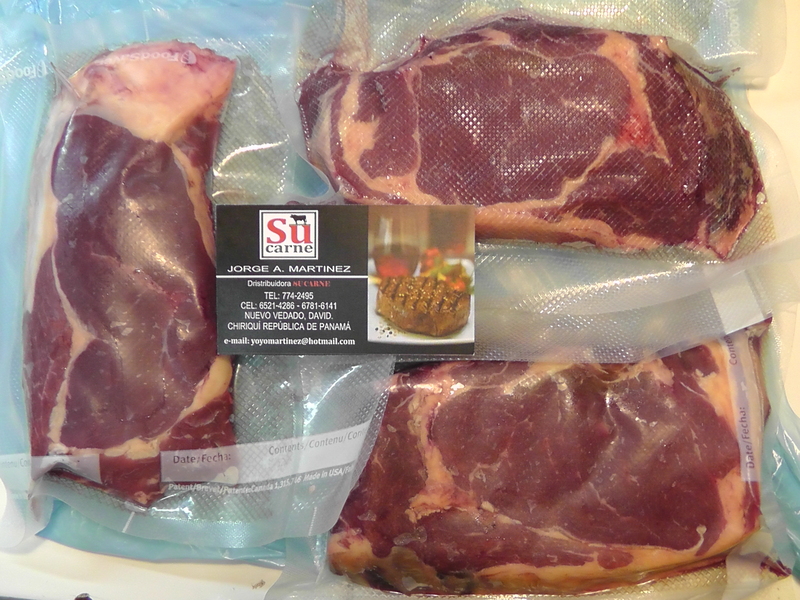 Today, two months later, we finally were taken by a friend to Su Carne and bought 3 Rib Eyes at $4.25 a lb, 3 for $10.25. Here they are… clicking enlarges the photos on my blog… I took them home, seasoned them and broiled them in our little toaster oven since the gas stove doesn’t broil. The toaster oven didn’t do them justice, it doesn’t get hot enough to sear them the way I like and tends to bake rather than broil them. So, I can’t rave about them but in fairness they were quite good. They were acceptably tender (would have been more tender if cooked properly), had spots of VERY good flavor, and are WAY better than the competition. I took some pictures and added a link on how to get there. Jorge, the owner, doesn’t speak much English but knows all the steak names like T-Bone, etc. Bring cash, I don’t know if he takes credit cards. Posted on February 18, 2013 by joeltc1. This entry was posted in Uncategorized. Bookmark the permalink. Thanks for the tip. We will definitely give this a try. I want to try their KC/New York Strip steak- they mentioned T-Bones and Porter house, drool………. Speaking of rub, I’ve got to get some spare ribs going, does that sound good to you? Yes, PriceSmart size 9s are not for me either! We were lucky and got in a half a pig with some friends and we’re lucky we have a little freezer to put it in! We’ve still got some ribs and a shoulder I think. 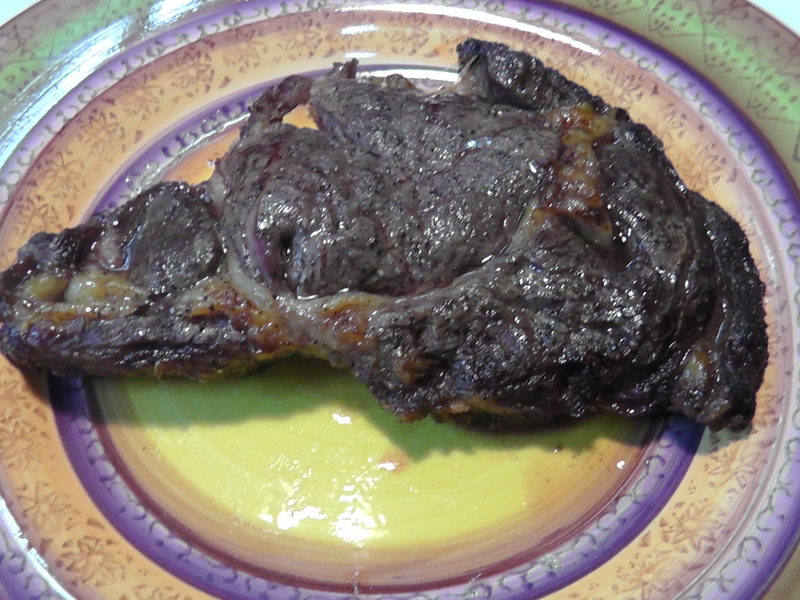 The farmer kept all the stuff that they like to eat…like the head and hooves…yuck! The only thing we’ve had trouble with is beef! Did the steak photo make someone hungry:)? Did you mention how to find Su Carne? The LINK shows how to get there. I do like the, Lloyds, baby back ribs in sauce, that are sold at Pricemart. I have used them many times to feed my hungry friends, and everyone loves them. We’ve bought them too, can’t go too far wrong with the Lloyds! I clicked on the link to get directions and it brought me to a GPS site. What am I doing wrong? Thanks 🙂 I would really like to fine Su. Carne. I just tried the link and it took me to where I posted the route, it’s in blue and Su Carne is at the bottom. Try again, hope you can see it.